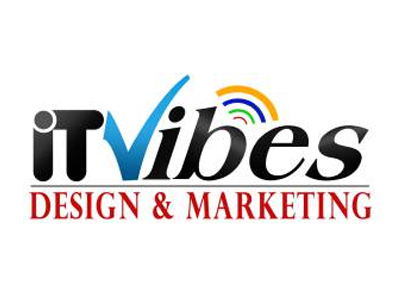 ITVibes, Inc is a Houston web design and online marketing company located in The Woodlands, Texas. We offer services in web design, brand management--including social media marketing and search engine optimization,--web development and marketing automation. Our integrated websites give local businesses online marketing solutions with social media branding and local search optimization. Your website tells the story of your company’s brand and its core values, mission, and service promise. If your web design isn’t attractive, why would visitors stay on your website? If users aren’t being motivated to easily purchase your products and services, they will leave your website and select another company from the thousands of others competitors. Read more about designing SEO-friendly and attractive websites. -> WEBSITE OPTIMIZATION- a critical SEO technique for organically producing search engine rankings. It’s part of the SEO process and usually the first step of content management. A combination of keyword research, link building, and other methods are used to make your web design search-engine friendly. Read more about how an SEO-friendly website can help your business. -> SOCIAL MEDIA MARKETING- ITVibes has a professional team of SEO managers who are experts at creating social media strategies. We can strategically position your business to take advantage of the networking opportunities on multiple social media platforms including Facebook, Twitter, and LinkedIn. Social media marketing will create brand awareness across the internet, which in turn generates leads and eventually conversions who become loyal customers. Read more about how to raise brand awareness across social media. -> CONTENT MANAGEMENT- High-quality content will catch a user’s attention, hold their interest, and keep them coming back for more. It establishes your brand, sells your products and services, and sets the tone of your website. But, more importantly, content management tells your company’s story. Read more about how to create high-quality content for your business. -> LOCAL SEARCH MARKETING- Targeting your local customers through keyword integration will attract the right audience for your business and maximize your successful online sales conversions. Read more about how to drive local traffic to your website. -> VIDEO MARKETING- Video marketing is a key component of ITVibes’ organic SEO services. Why? Becuase, search engines place a high value on your website videos when determining a ranking. Video marketing is the highest placing web page component to having your message found, seen and heard. Through website optimization, keywords used in your videos validate those on your website, wich ultimately raises brand awareness. Read more about using videos in your online marketing campaign. -> PPC MANAGEMENT- Are you relying solely on organic optimization? While it’s an essential component for search engine visibility, organic SEO shouldn’t be your only means of online marketing and branding. Paid advertising on the largest search engine, Google, is also necessary to widen the reach of your website and the services you offer. Contact us about using paid advertising in your marketing plan. Ready to start ranking? Contact us today and learn how we can make your brand visible in a sea of competition.